Oh how the simple pickle has changed in the few series of Rick and Morty that have so far aired. From a mere edible talking Gherkin, to a cyborg looking monster with a rat exoskeleton. 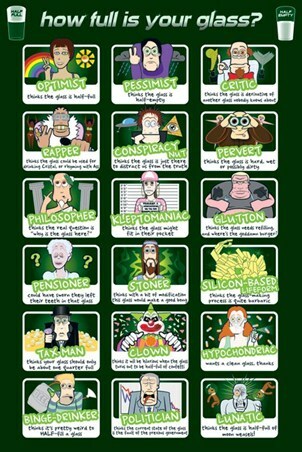 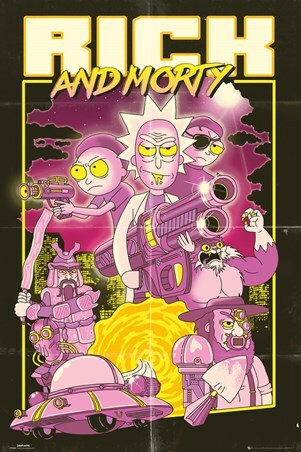 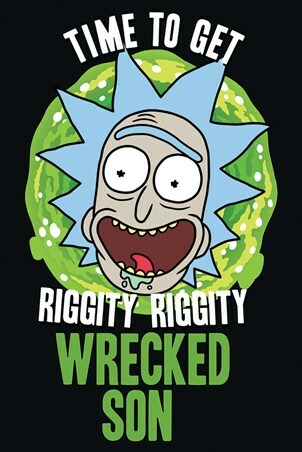 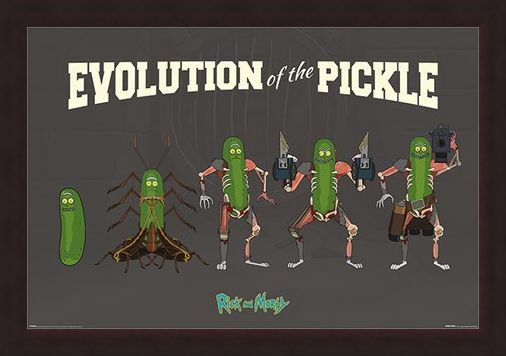 If you have seen the smash TV show Rick and Morty, then this makes perfect sense to you and is by far the least crazy thing you will see while watching your favourite show. 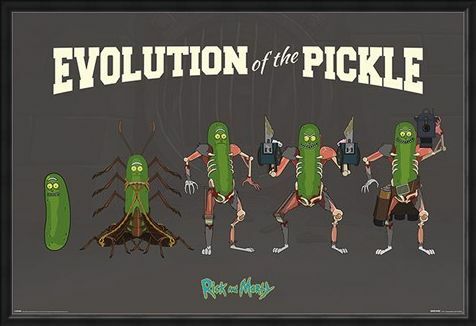 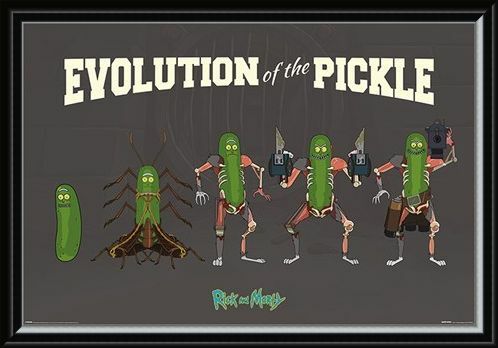 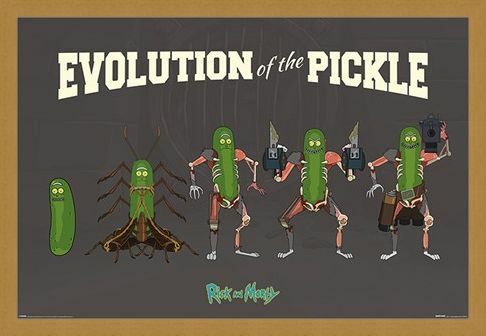 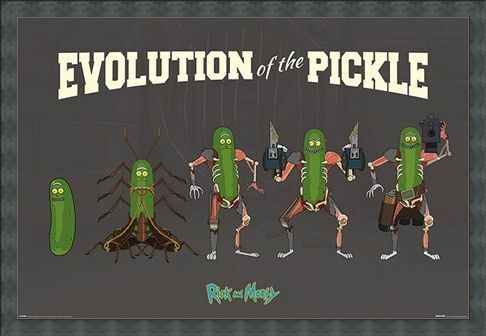 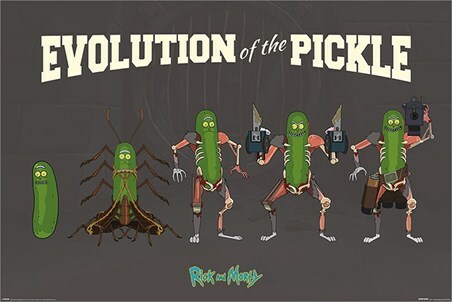 If you have loved watching Pickle Rick evolve over time, then this is the ideal poster to hang on your wall at home. 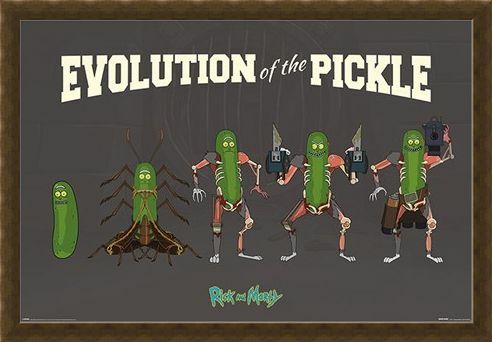 High quality, framed Evolution Of The Pickle, Rick and Morty poster with a bespoke frame by our custom framing service.